The Milagro tree, a “miraculous” Brazilian rosewood tree that grew on an undulating hillside in Espirito Santo, developed a spider-webbing pattern as its nascent roots went in search of a limited water supply. The result: it resonates like glass with unmatched sustain and projection. European spruce is unique in its clarity and power. The Bedell Overture sounds like it is performing in a century old European stone cathedral with its rich overtones and enduring sustain. Striking with its prominent sapwood, European cathedrals often selected Brazilian rosewood for their magnificent entryway doors, hence, Puerta d’Iglesia. 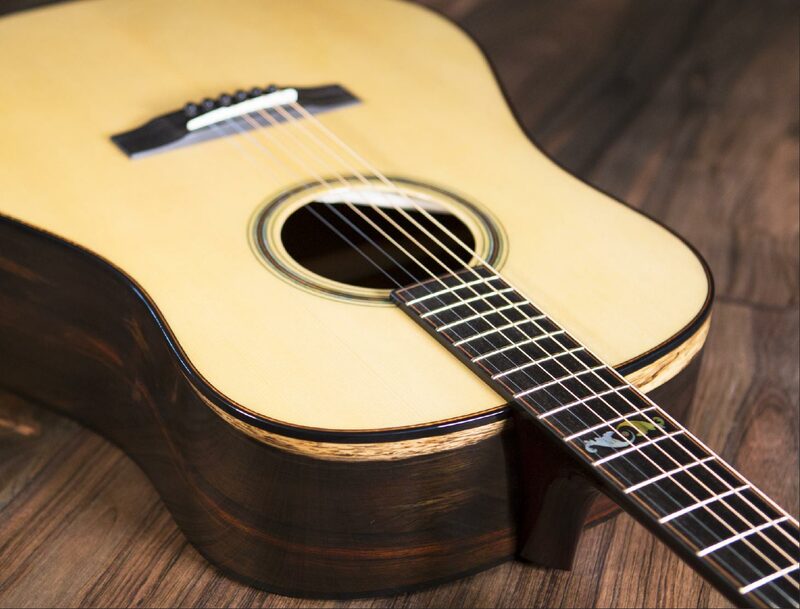 Paired with the power of stout Adirondack spruce, each hand selected tonewood set has been chosen for its stunning beauty and tonal brilliance. The appropriate designation for the Bedell Forte is “elegance”. Searching through our collection, we have selected eight of the most highly figured and exquisite looking sets of Brazilian for this very special offering of orchestra instruments. 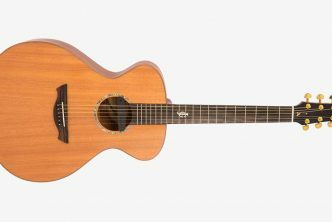 Designed for individual note richness and clarity, Sitka spruce is the ideal choice to achieve fingerstyle brilliance. The Bedell Serenade articulates the music of each string in melodic wonder. Discarded into a bog on a NE Brazilian ranch, the Esperanza tree absorbed mineral deposits, making it more dense and brilliant as a tonewood. 7,000 miles away, an ancient redwood tree was washed into the Pacific Ocean and over the years drifted its way to Manzanita Beach in Tillamook County, Oregon. The result: the Bedell Cadenza is a warm and sweet sounding parlor that sings like an angel. Frequently, the acoustic sound of the 1960’s resulted from guitars crafted with Brazilian rosewood. 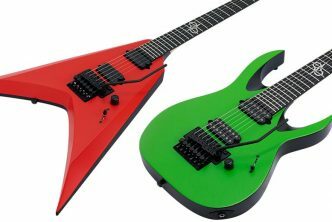 Its unique capability to deliver resounding bass and shimmering highs remains unmatched by other tonewoods. Overharvesting motivated the Brazilian government in 1967 to ban the export of Brazilian logs. In 1992 countries throughout the world joined together in declaring Brazilian rosewood an endangered species – in the same classification as elephant ivory. A small church ornament company just outside of Madrid, Spain had imported several Brazilian rosewood logs during the 1950’s and 60’s, before the restrictions were imposed. 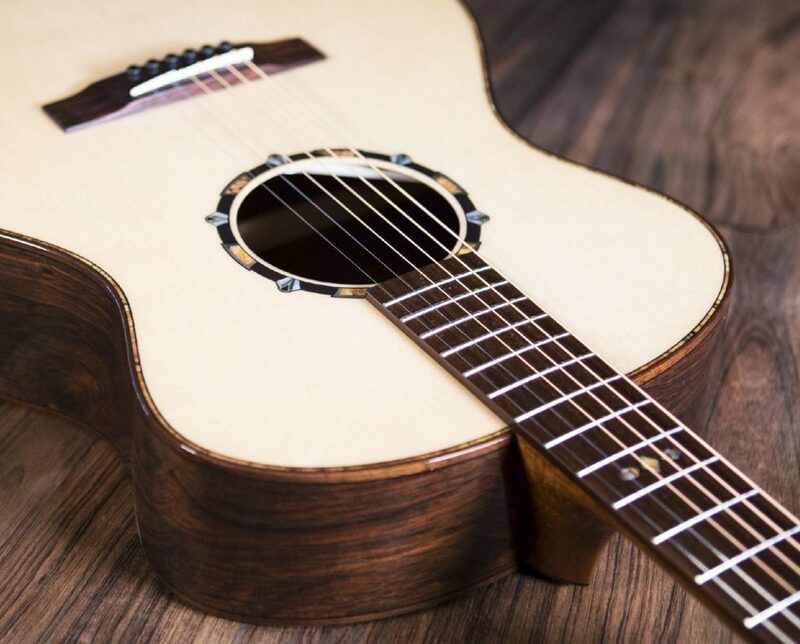 Later becoming a tonewood supplier, their documented Brazilian was grandfathered in, allowing it to be legally sold and used in the finest acoustic guitars in the world. 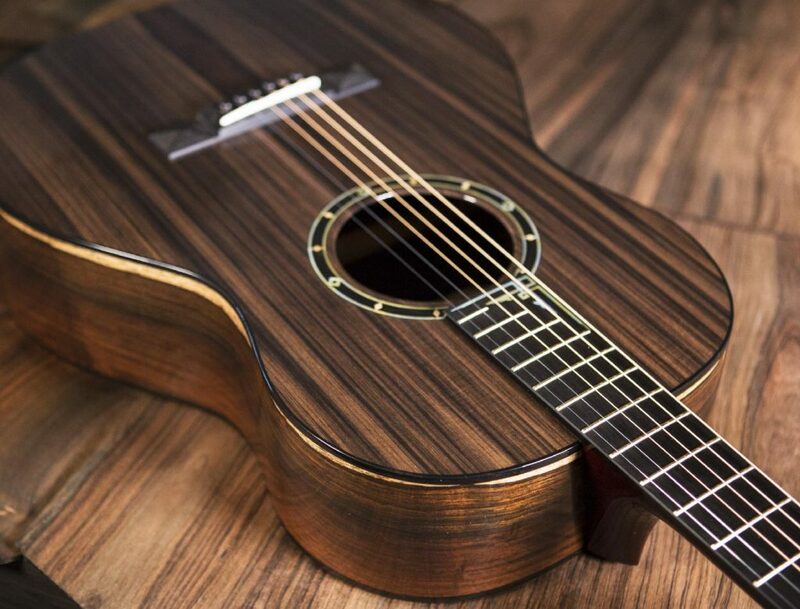 In 2013, Bedell Guitars was able to acquire this entire Brazilian rosewood tonewood collection, making us the only acoustic guitar company in the world with a large assortment of fully legal, documented aged Brazilian rosewood tonewood. 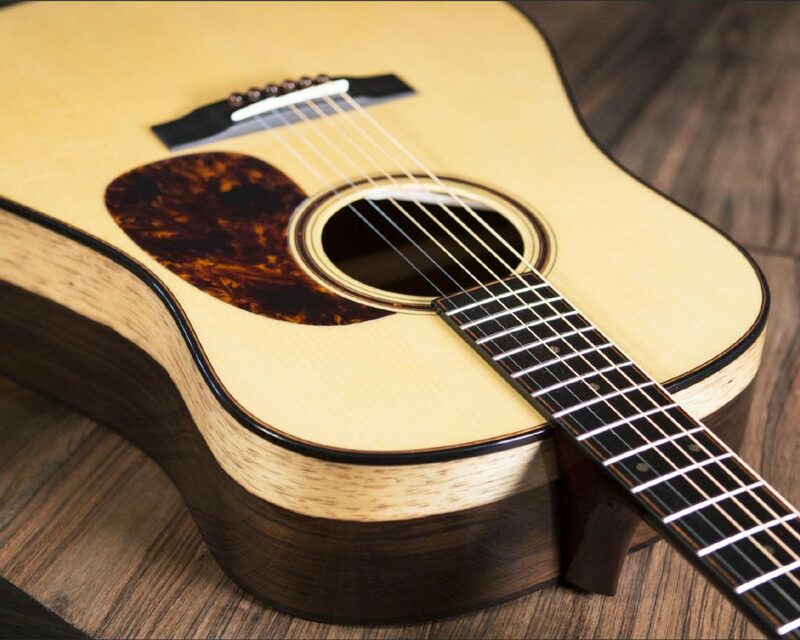 Bedell Guitars are crafted by a small group of extraordinary craftsmen in Bend, Oregon. 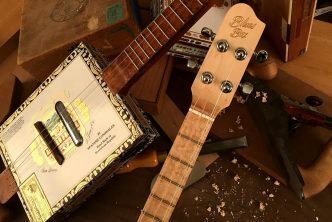 From the forest to your music, we appreciate the uniqueness of every piece of wood and optimize it accordingly. Using Sound Optimization™ we analyze the frequency and density of every soundboard, sanding it to the thinness that will deliver optimal sound. Every Bedell is Hand Voiced. No Bedell is delivered until we have achieved its ideal fundamental frequency. We never use clear-cut wood, making every effort to minimize our impact on the forest neighborhood. Believing in the connectivity of all living things. Accepting responsibility for how we live. Never compromising our values. 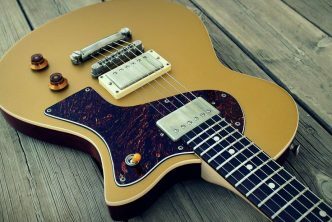 The soul of Bedell Guitars is our dedication from SEED TO SONG!